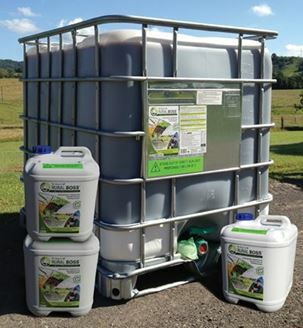 Rural BossTM is an advanced complete plant nutrient and soil rejuvenator. Rural BossTM is the result of on-farm and scientific experimentation to find a biologically sustainable nutrient source (Fertiliser) for plants. Many ‘Fertilisers’, although supplying a stated quantity of plant available nutrients, fail to be biologically sustainable and almost without exception, create a weak link in the growing chain. Pick up in store only, or contact us for freight options.